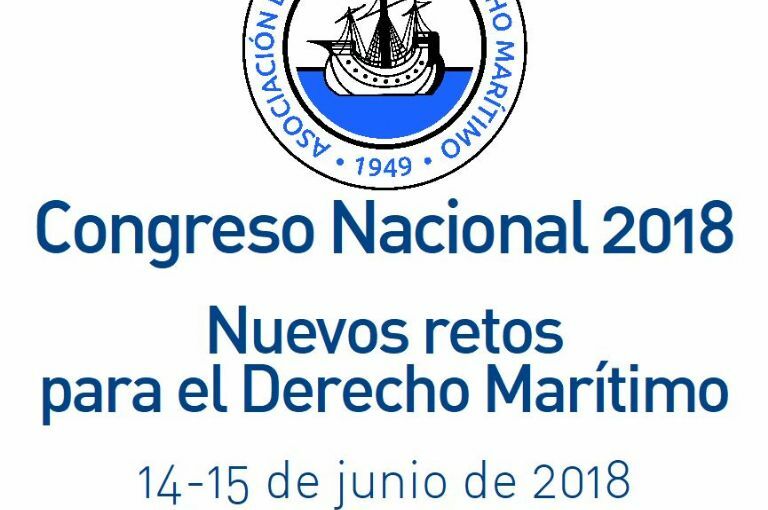 The Spanish Association of Maritime Law (AEDM) hosted its yearly, two-day National Congress @ Uria Menendez in Madrid. Atlantis Director Marlon Weinstabl attended. The Congress took place from 14-15 June with this year's theme concerning "New Challenges facing Maritime Law". The Congress also paid its respects to the recently deceased Professors: D. Manuel Oliveto, D. Francesco Berlingieri, and D. Aurelio Menéndez, who will all be remembered as irreplaceable figures of the maritime law world. Lastly, the Congress also offered the chance for young law-student talents from the University Carlos III, to participate in a Moot Maritime Arbitration case. The Congress had excellent, accredited moderators and speakers. These ranged from well-known university professors to lawyers and practicing industry specialists. We would like to thank AEDM for this exceptional event. We look forward to seeing you again next year for your big anniversary! Atlantis Antibes assisted in saving 55 souls in a search & rescue operation en route to Algeciras. 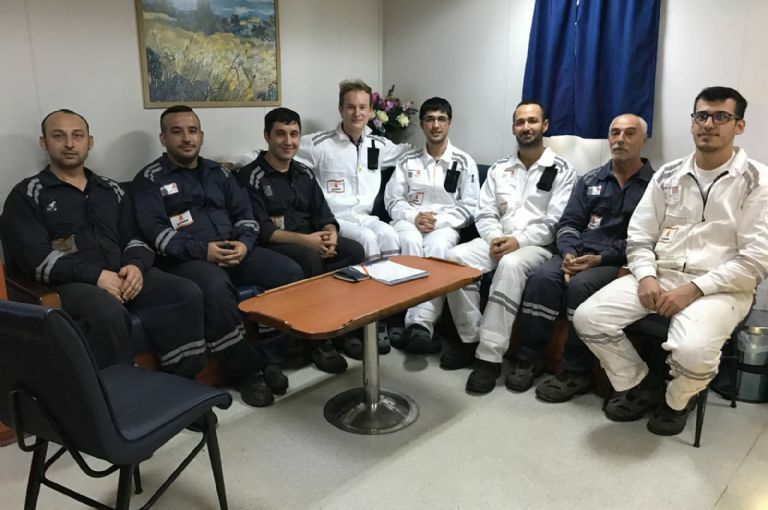 We would like to thank our Armona Denizcilik crew for their excellent reaction and assistance in the successful search & rescue operation! 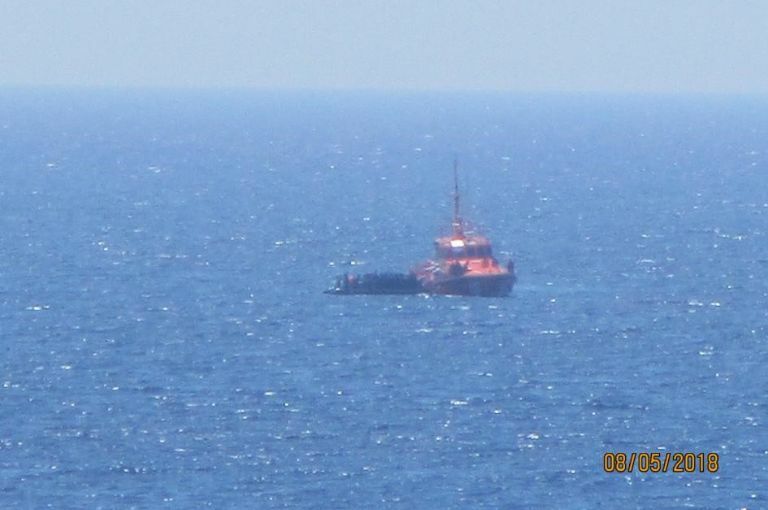 "It is our desire to show you our most sincere gratitude for the humanity and professionalism of the Captain and crew of your vessel ATLANTIS ANTIBES, thanks to her cooperation in search and rescue operation 55 persons have been rescued today, 8th of May, in [the] Alboran Sea following MRCC Tarifa request. At 10:35 UTC this centre was informed that there was a boat with several people on board adrift. We asked her to proceed to the boat and wait for our rescue boat E/S SALVAMAR ALNITAK. At 13:22 UTC E/S Salvamar ALNITAK informed us that the 55 people were on board of our rescue boat and your vessel could resume her voyage. We expect that you, as the vessel’s owner, could transmit our gratitude to the Captain and crew of vessel “ATLANTIS ANTIBES”." The friendship between Bureau Veritas Istanbul & Armona Denizcilik is hard to beat. During the construction of our latest newbuildings: Augusta and Alicante, we realized that relations go well-beyond ‘business’. Moreover, our relationship has anchored a tradition of combining the management of Bureau Veritas Istanbul and Armona Denizcilik to celebrate the start and the end of the yearly fish season: simply called Rakı & Balık (Fish). A substantial part of Armona’s business evolution has been accompanied by the staff of Bureau Veritas (BV) Istanbul. Relations began with the first newbuildings in 2003, lasting over 1.5 decades till today. Today, we own and manage 12 ships. Our size and attitude as a client to BV Istanbul, has smelted us together as a family. BV Istanbul knows first-hand that our commitment is to high levels of standard, quality and no compromises in safety. We thank them for their strong cooperation and dedication in all issues of certificate renewals. They tend to happen at breathtaking speeds under and above water. It was a great evening! Thank you to all staff, present and not present of BV Istanbul. You are part of the success of Armona & Atlantis Tankers. The turbot (scophthalmus maximus) marks the end of the Fish Season. Weighing a staggering 4.6kgs, it was the largest purchase of the night. Further purchases included an angler fish weighing around the same size as the turbot, and lastly 2 kg of red mullets. 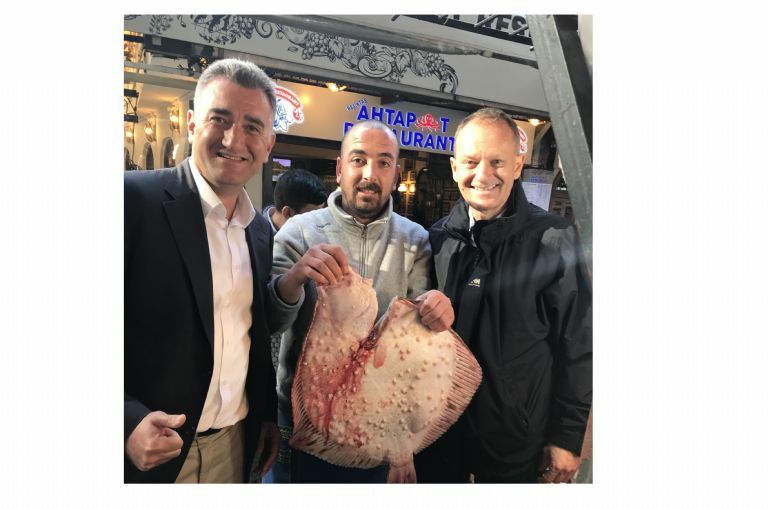 Cafer Tekkan, the Marine Manager of Bureau Veritas in Turkey, and Lorenz Weinstabl, CEO of Armona Denizcilik, were of opinion that they had exceeded the limits of what a team of 10 participants could eat. However, to the surprise of all, it could have been even more! The turbot marks the end of the Fish Season. Pictured: a 4.6 kg beauty. The October 2017 built: Atlantis Alicante spotted in Rotterdam. 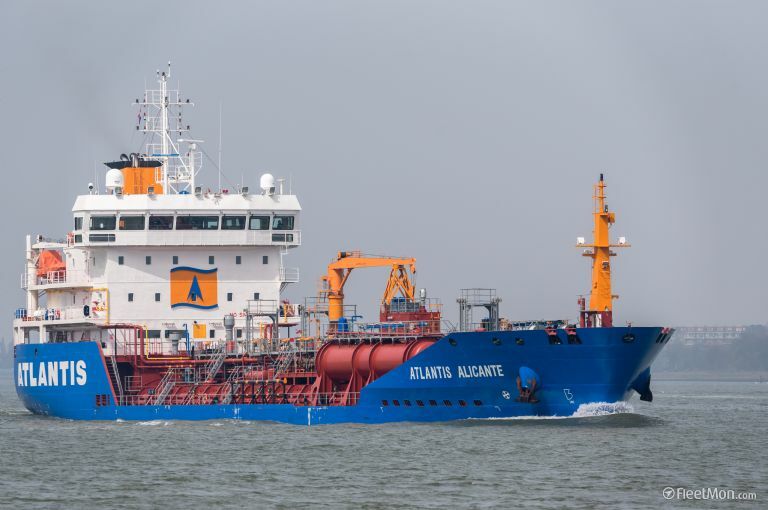 Alicante is our fleet’s youngest vessel. She was delivered by Armona from Selah Shipyard in Tuzla, and it pleases owners to see that the workmanship and equipment are still in excellent condition. We would like to thank the outstanding newbuilding supervision team, Selah, and our seafarers for their performance. Alicante is already off to perform her 19th Voyage.